Over the last week or so I've been helping the Product Support folks at Microsoft write a new KB article which discusses some of the things you should take into consideration when setting up database mirroring. It discusses memory, CPU, I/O bandwidth, network bandwidth, and transaction volume. One of the most interesting things it discusses is exactly how many worker threads are required on the principal and mirror for each mirrored database. Check it out at: http://support.microsoft.com/kb/2001270 (the formatting looks a little weird in the final online version, assuming they'll fix that up). Fall really is crazy travel season for us – a week after returning from our trip to Ireland and Poland and now we're in Australia for a few weeks. This evening we went for a bird-watching walk around Albert Park with our good friend, partner, and fellow MVP Greg Linwood, who's our host while we're here. 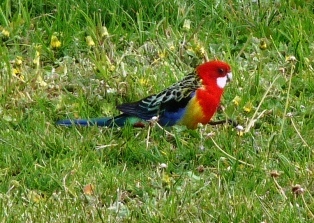 We saw 20+ species of birds (of which 17 were new to me), including 3 species of cockatoo and, finally, my first glimpse of wild PENGUINS! I've adored penguins for a very long time and it's always been a dream of mine to see them in the wild rather than a zoo. Well, today another bucket-list item was ticked off. 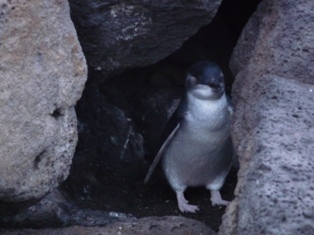 There's a little-known colony of Little Penguins right in Melbourne itself, at the end of St. Kilda Pier (here's a website with some info). I've uploaded a bunch of photos to Facebook, that you can view at http://www.facebook.com/album.php?aid=2040551&id=1293146061&l=f6e55ca540 (no account needed). 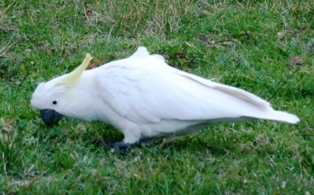 Here are a few examples (Eastern Rosella, Sulphur-Crested Cockatoo, Little Penguin). This is a question that came up yesterday on Twitter: will SQL Server always do a table scan to find the result of SELECT COUNT (*) FROM mytable? The answer is no. The query processor will use the index with the smallest number of pages – i.e. with the least I/O cost. Let me quickly show you. First I'll create a simple table with no indexes. The query has exceeded the maximum number of result sets that can be displayed in the Execution Plan pane. Only the first 250 result sets are displayed in the Execution Plan pane. The query processor has no choice but to do a table scan. Notice that the Table Scan operator has changed to an Index Scan operator on the new CTest_1 index. This is because the nonclustered index has fewer pages than the table and so the I/O cost is lower. And it does, as I expected. Any time the query processor is working out what plan to use, one of the key factors in plan choice is the I/O cost.